Now, Contour is poised to come back into the action cam market bigger and better than ever before. There are many things about the Contour cameras that are great; however, it always took a distant backseat to GoPro and its massive marketing machine. Of course, Contour has been back in the market for months now. 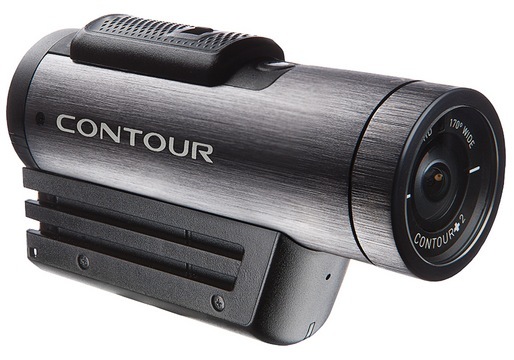 You can still buy a Contour+2 or a Contour ROAM2 camera at $265 or $150, respectively. Without a new product announcement since September 2012 though, the line is feeling rather stale. I now have confirmation that Contour will announce the ROAM3 action camera sometime soon. The hope is that the ROAM3 and the marketing plan will be ready to launch before the end of the summer. Contour looks to be jumping back into the action cam market as an established company with a solid product – but with fresh money and blood at the forefront of the push. Details are still forthcoming. I know there are still plenty of Contour fans out there. As soon as I know more, I’ll pass it along. Unless they announce before the new GoPro model that’s rumored to do 4k/60fps, then this might be dead before it’s even out of the door. Built in frame accurate live streaming without buffer delays would be a huge selling point. Aside from that, I’m not sure what features could make this really stand out from the current (and growing) non-GoPro action cam crowd at this point except for price. Thanks for this update! I for one am really looking forward to a new Roam. I had the v2, but unfortunately lost it and replaced with a Virb as the technology was getting old (low light performance in particular). As far as head mounting goes, however, the mount of the Roam was fantastic, allowing a relatively low profile which is quite opposed to that of the GoPro / Virb style that forces the camera to stick out. The Virb is now on the handlebars for that reason and I’m looking for a camera to put on my helmet; a Fly6 covers my back. I would love to see a new Contour ROAM. The Instant On-Record switch is one of my favorite features lacking in every other action camera I have bought. I love the Contour form factor. The ability to hold it like a gun, its built in tripod mount, the instant on button, the laser indication and rotating lens. I’ve never understood why go pro with their weird form factor became the standard. However, i’ve never owned a countour, because the technology is way behind. Once they bridge the gaps and have full hd, or better yet, 4k, with lots of high frame rates to choose from, up to 120 or more, and a quick, easy to use interface and app, I’ll be completely sold.